Three women find an unexpected sisterhood in this perfect beach read from the USA Today bestselling author of Best Beach Ever and My Ex-Best Friend's Wedding. 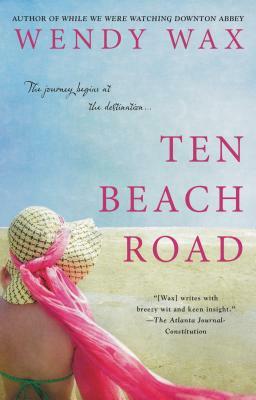 Wendy Wax, a former broadcaster, is the author of fifteen novels and two novellas, including My Ex-Best Friend's Wedding, Best Beach Ever, One Good Thing, Sunshine Beach, A Week at the Lake, While We Were Watching Downton Abbey, The House on Mermaid Point, Ocean Beach, and Ten Beach Road. The mother of two grown sons, she left the suburbs of Atlanta for an in town high-rise where she and her husband are happily downsized.